Being surprised when I visit Walt Disney World is one of my favorite feelings. Seeking out opportunities for surprises and new ways to feel the magic is always on my priority list. I’ve found that the most dependable way to find it is in the “streetmosphere” at Walt Disney World. 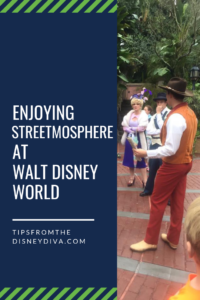 If you’re unfamiliar with the term streetmosphere, it’s a word that encompasses the live entertainment happening outside of an attraction or theater stage. I’m over the moon about the Citizens of Hollywood, Dapper Dans, Citizens of Main Street, and the JAMMitors in Epcot. These characters exist on improvised moments and some of my most hearty laughs within the park have been with them (or at their expense if you’re watching Betty Shambles of the Citizens of Hollywood!). If you know you’re going to want to take a break mid-morning between activities, why not plan entertainment into the mix? I love hanging out on Sunset Boulevard watching the Citizens of Hollywood with a latte or frappuccino in hand! When their act is over, I’m always refreshed and have had a great laugh! I love timing a walk back down Main Street to meet Mickey with a Dapper Dans set – especially if I run into a Citizen of Main Street along the way! 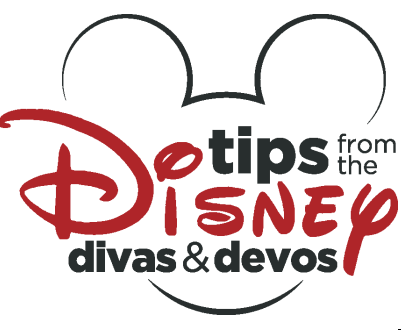 Just like anywhere else in Disney, let yourself stay in the moment! The Citizens of Hollywood all have a place within Hollywoodland – Evie Starlight, Stone Granite, and Beau Wrangler are all movie stars, Chloe Canard is a gossip columnist, and Sonny Burbank is the Mayor of Hollywood. For example, when I worked at the Great Movie Ride I asked Sonny why he couldn’t turn the ticket stand in front of the Fastpass Entrance into a food stand – with Chinese food to match the theming of Grauman’s Chinese Theater! We discussed that it would be a good way for him to get re-elected Mayor. …or don’t and stay in the moment! I go back and forth on this, but what I’m really suggesting is that you decide beforehand! 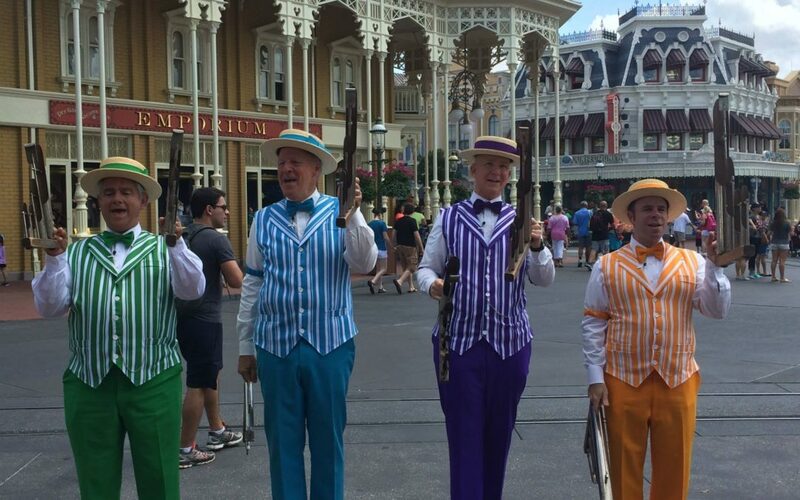 There’s nothing I dislike more than falling in love with a song the Dapper Dans are performing – and realizing I wanted to record it, but then not catch the whole song! If you want a photo *with* a performer, make sure you wait until their set is done and ask very nicely! I’ve found they’re always more than happy to oblige as long as they don’t have somewhere to be! The JAMMitors in Epcot rocking it out! I’d argue this is the best way to have fun! The more enthusiasm you bring to their sketch or act, the more energy they have to feed off of and it’s much more fun for everyone! Streetmosphere acts like the Citizens of Hollywood exist on improv sketches – and they can’t be successful without hearing from you! Plus it’s fun to watch them get creative with totally wild suggestions! 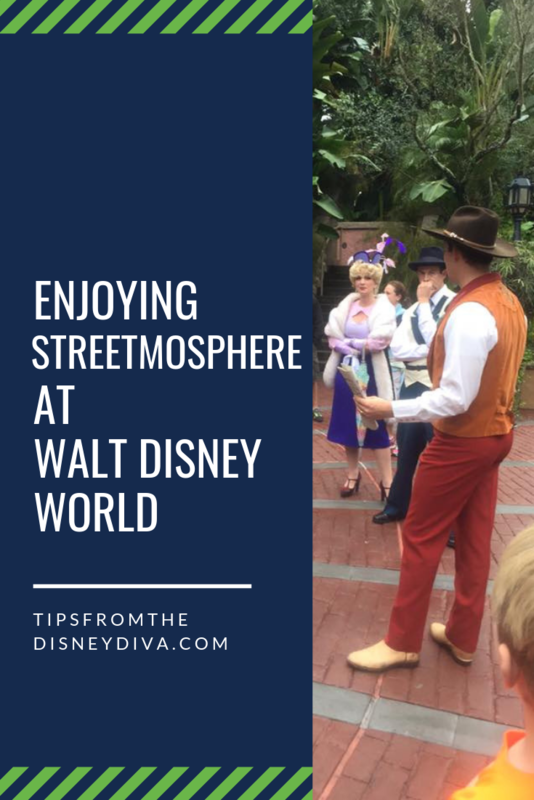 To me, streetmosphere is what makes the parks feel like home! There’s nothing I love more than a friendly face to greet me and make me smile when I walk in. Do you have any favorite streetmosphere performance stories? I’d love to hear them! 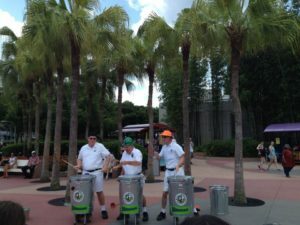 Ready to plan your next trip to Walt Disney World to enjoy the streetmosphere? Contact Patricia at All 4 Dreams Travel today. This little magical moments made by the surprise of seeing them were always amazing! As long as you want to enjoy and play along, these moments are worth taking in 100%. I agree!! They’re my favorite stories to tell whenever I’m asked!